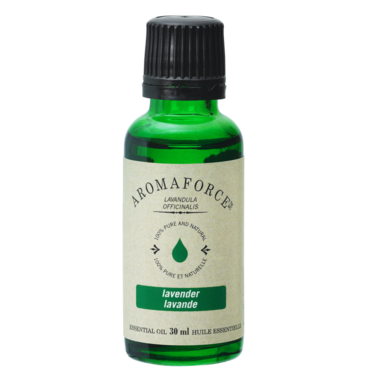 The Aromaforce Lavender (Lavendula officinalis) is a 100% pure, natural and undiluted essential oil. Unadulterated and botanically certified. Benefits: Used in aromatherapy to help calm and induce sleep. Sweet, balsamic, flowery, herbaceous and sharp fragrance. I have used the lavender essential every day in my diffuser since I received it for Christmas. It smells wonderful and fills my housing with a calming scent!